ensembles with furry trim. Item Weight: 9 lbs. 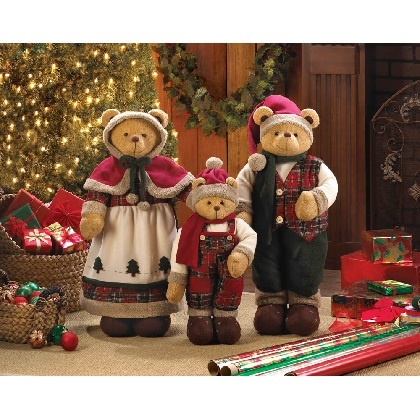 11½" x 28½" high; Baby Bear: 6" x 11" x 20"
children under 12. Decorative purposes only.